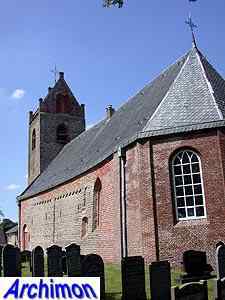 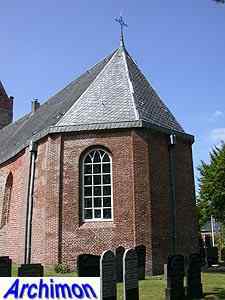 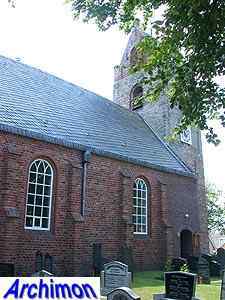 The church of Dantumawoude dates back to the 12th century a church, when a tuff one-aisled church was built, which probably had a reduced westwork. 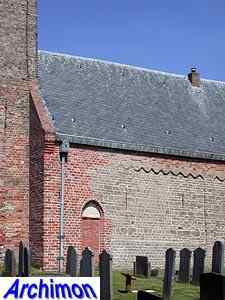 Of this church the south wall of the nave remains, although quite curved, and has Romanesque decorations. 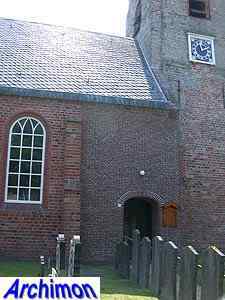 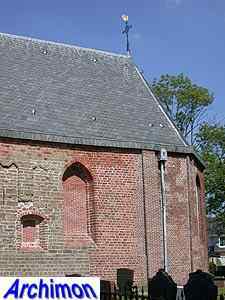 The north wall was built of brick instead of tuff, and probably dates from the 14th century when the church was enlarged. 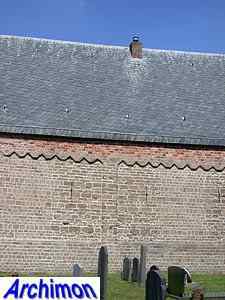 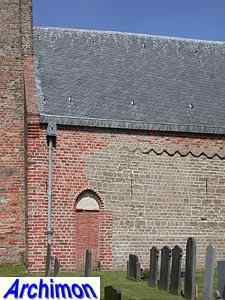 The outer side of this wall was renewed in the 16th century and given larger windows. 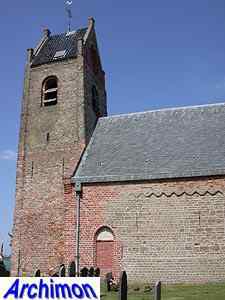 The westwork was replaced in the 13th century by a part built-in tower. 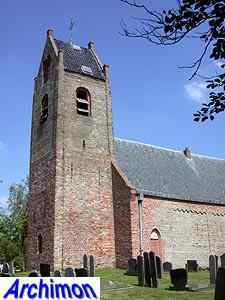 In 1686 the flanking parts of the nave were removed and the west wall of the tower was renewed. 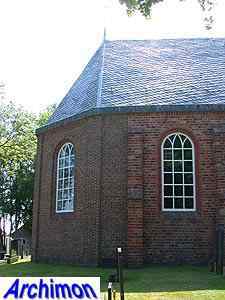 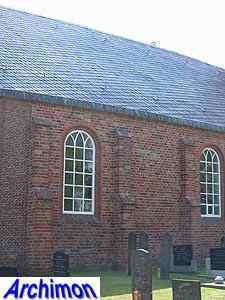 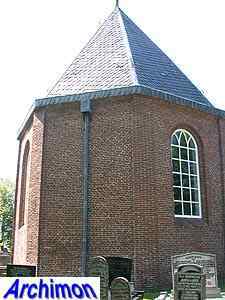 The church is closed at the east end by a three-sided "choir", which dates from 1775. 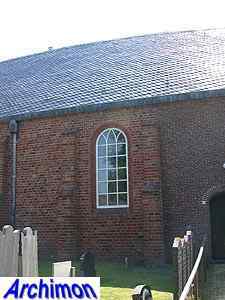 Also in the 18th century large windows were added to the south side. 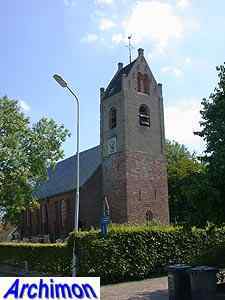 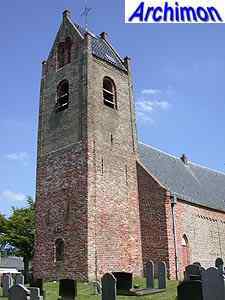 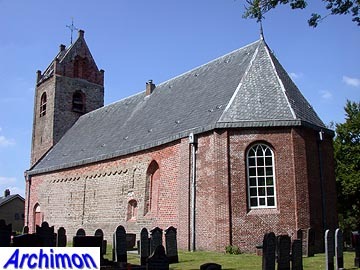 In 1963-1966 the church was restored. 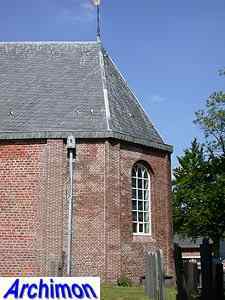 A coat of white plaster, which probably dated from the 18th century as well, was removed and the large windows in the south wall were closed. 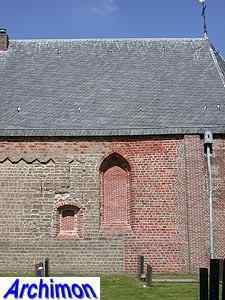 Instead, two blind niches were added using traces of old windows.